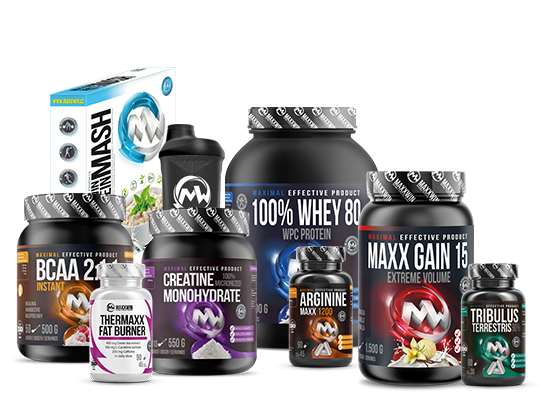 MAXXWIN has developed an unbelievable alternative to whey proteins with content proteins and amino acids. Our Beef Protein Hydrolyzate was made in the steam, where was removed fat, by drying remained amino acids for immediate use and in the process of drying - sputtering was achieved easy solubility. Result? Protein powder with 100% of proteins in one dose, without lactose, cholesterol and fat. It is made from pure 100% beef protein hydrolyzate from Germany. Although this product is digested more slowly than, for example, whey protein, amino acid profile speaks to itself. If you suffer allergy or intolerance of lactose, or the whey protein does not work on you, this product is right for you! Suggested Use: Mix 2 scoops (30 g) in 200 ml of cold water or non-fat milk. For optimal results, consume one to three servings per day. Ingredients: Choco-mint: Beef protein hydrolyzate, skimmed cocoa, L-Lysine HCL, Carboxymethyl Cellulose thickener, caramel dye, aroma garden mint, sweetener sucralose, chocolate flavor, SIPERNAT (silicon dioxide E551). Please note: Intended for special nutrition with sweeteners. This product is intended as a dietary supplement only. Do not use as a sole source of nutrition. Store in a dry place below 25 ° C. Protect from direct sunlight. Not intended for children, pregnant and nursing mothers. Keep out of reach of children. The manufacturer is not liable for damages caused by improper use or storage. Content in dry matter. Dry matter content minimum 95%.